Puerto Morelos is a miraculously untouched paradise nestled between the more widely known Cancun and Playa del Carmen in Mexico. This small fishing village has escaped the surrounding areas’ trend of development thanks to strict local building codes and government-protected ecological reefs and mangroves. The off-the-map town offers the experiences valued most by Zoëtry Wellness & Spa Resorts— wellness, serenity and romance. So if you want to spend a day during your vacation to Zoëtry Paraiso de la Bonita Riviera Maya visiting the tranquil village, here are some ideas to perfect your experience. Snorkel: The reefs of Puerto Morelos are part of the second largest reef system in the world! Eat: Check out El Nicho, Puerto Morelos’ number one restaurant for breakfast; the funky street side Tacos.com for lunch; or John Gray’s kitchen for a more upscale dinner. Birdwatch: The protected Mangroves host more than 150 species of birds. Shop: From specialty bookstores to ceramics and clothing stores, there are shops for every taste. Stop and smell the flowers: Visit the Botanical Gardens, or the Jungle. The gardens have 150 km of beautiful grounds, and the Jungle has a Mayan Jungle Market for artisan crafts on Sundays. 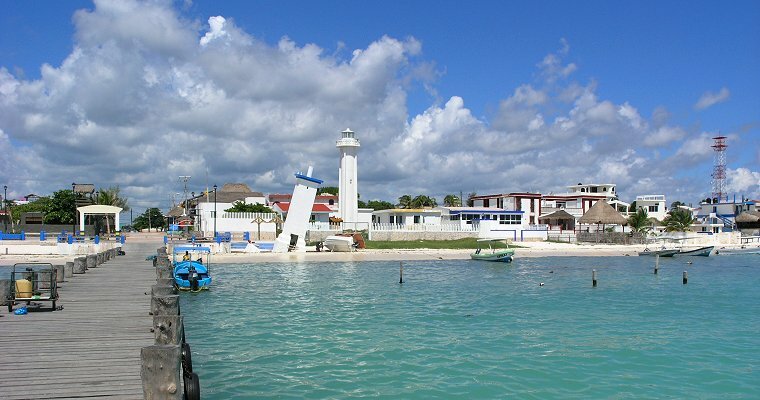 No matter what you choose to do while visiting the village of Puerto Morelos, you are sure to have a magnificently unique experience. Don’t forget to bring cash, many places in town don’t accept credit cards; and even more importantly relax and immerse yourself in the small town atmosphere of this beautiful beachside gem. Talk to your concierge today to plan your day trip while at Zoëtry Paraiso de la Bonita! This entry was posted in Zoëtry Paraiso de la Bonita and tagged day trips, excursions, puerto morelos, Zoetry Paraiso de la Bonita Riviera Maya, zoetry resorts. Bookmark the permalink.